Tom Hiddleston Talks About Loki in Infinity War, Maybe Spoilers? - Oh No They Didn't! Tom Hiddleston Talks About Loki in Infinity War, Maybe Spoilers? Tom HiddleSudan is making the rounds for Avengers: Infinity War and he talked about-- and possibly spoiled?-- Loki's role in the upcoming movie. Lots of characters are rumoured to die in this movie, with Loki being a popular guess. Are you going to see Infinity War? What are your predictions for Infinity War? Hopefully they de-age Loki at some point. If he dies I hope we get Kid Loki for a movie or something before they find a way to bring him back. That's if we get more Thor films at all. I got my ticket for 9.30am the 26th. There better be no children there. I was going to say yeah there will be but that's Thursday so you might had lucked out lol. it's being released on the 25th here but it's a public holiday and I am not down for whatever that nonsense will be. Dude what state are you in, it's school holidays next week. Plus it would break Thor and I dnw. Surprise me movie. Don't be predictable. Loki is trash face personified but I’m not sure where else Marvel can take him as a character tbh. imo the character has always had potential but marvel just has never known what to do with him and how to utilize his potential properly. same with thor tbh. they've always done him dirty and i really don't see that changing now, whether they live or not. Same. Let me be free! Rhodey better live tho. Don't even give me a fake out. Idec. My heart could barely handle what happened in CW. but to be fair, after Ragnarok I don't really want anything but the Revengers together. 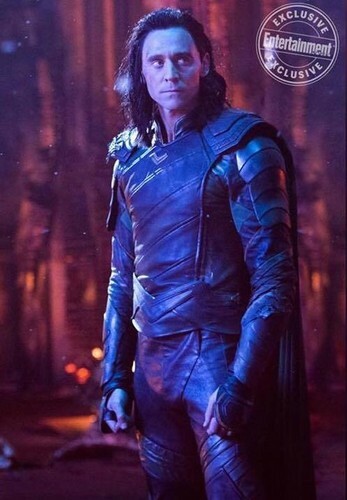 I didn’t think I’d wake up from a day-long nap to see Loki wearing a cod piece but here we are. That’s the only thought I have. Lbr, he's gonna kick the bucket. And at this point, I'm convinced Tony and Steve will both go down with him. Just a hunch, tho. [Spoiler (click to open)] Anyway, here's my prerequisite "kill the mayomoff and her USB flash drive bf" comment here. i hope they take bucky down with them, too. give me the sam!cap that i deserve. I honestly believe Bucky Cap is going to become a thing. And I'm not just saying that because Bucky's one of my favorites. I want Vision to die and stay dead. I hated him in Civil War and I've soured on Paul Bettany. My prediction is Loki will die near the beginning of the movie. Vision will die because Thanos has to get that stone eventually. Cap will die also. Time will be reset though. i don't really care much about these movies but my mom's favorite is captain america so i warned her that he might die since chris evans' contract is up and she was just like "nah they should just re-cast him. i never liked that guy's face anyway." may my mom's dreams come true with this movie.